Looking to learn web designing training in bangalore with placement assistance? 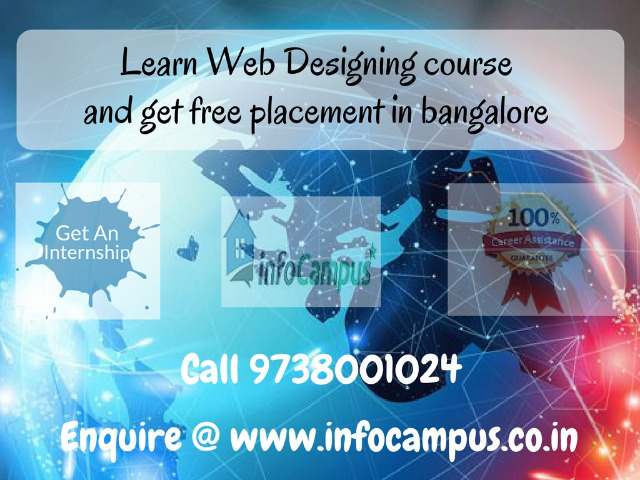 Join Infocampus, it is a training institute that provides web designing course with job assistance. In Infocampus, web designing training will be providing according to industrial standards along with projects. Internship is also available at Infocampus. Call 9738001024 to attend free demo classes. Visit http://infocampus.co.in/web-designing-training-in-bangalore.html for much more details on web designing training in bangalore.